Mother 3 was released in Japan back in 2006. This, the third entry in the Mother series from Nintendo, was actually the direct sequel to the Super Nintendo's EarthBound. It never made it to an international release, despite the large cult following this series has established. If you've been following Nintendo news as of late, then you know Nintendo recently announced that they will finally bring EarthBound to the Virtual Console on the Wii U. That's happening later this year. One group of fans sees this as a potential opportunity to ensure that Mother 3 has a chance to shine for fans on an international level. 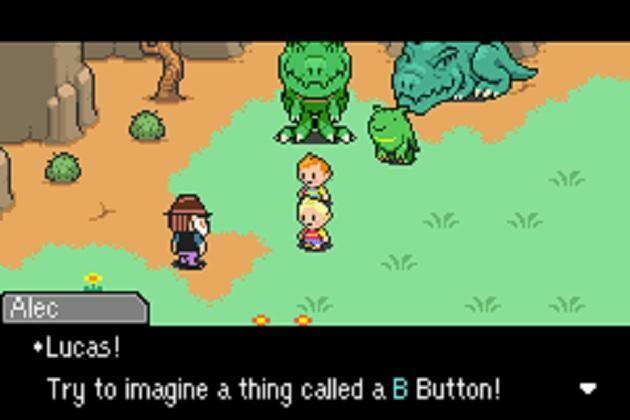 Mother 3 received a ROM-based fan translation a few years back. The fans responsible for that translation have decided to offer up their work for Nintendo to use in an attempt to get a brand new port made. Here's a bit from their open letter to the Big N.
When we released the MOTHER 3 fan translation patch in 2008, it was because it was clear that Nintendo had no interest in releasing an official translation of the game. Still, there's always the hope that the game might be re-released someday on some new platform, at which time us fans will clamor for an official translation yet again. I realize that localizing a game this size can cost a lot, so if it'll help in even the slightest, I'll gladly offer to let Nintendo use my text translation files for any use at all, completely for free. I'll even edit the files to fit whatever new standards are necessary (content, formatting, memory size, etc. ), completely for free. I'll even retranslate everything from scratch if need be. Just whatever it takes to get an official release out. The author also points out that, while it seems absurd, fan translations have brought games to an international level before. It happened with Ys: The Oath in Felghana, so they explain. While I don't really think Nintendo will accept outside help for this port work, I do think what these fans are doing is exceptional. The Mother series is truly special, and the fan dedication that's been on display for it in recent years is proof. This offer is only part of that desire for a port.